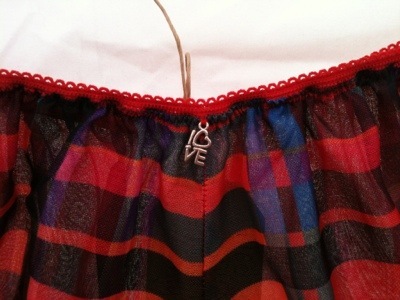 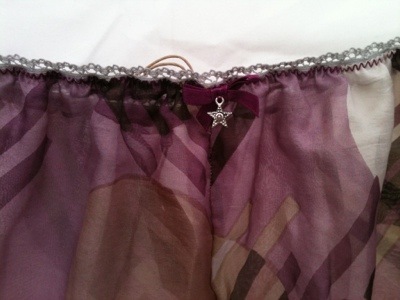 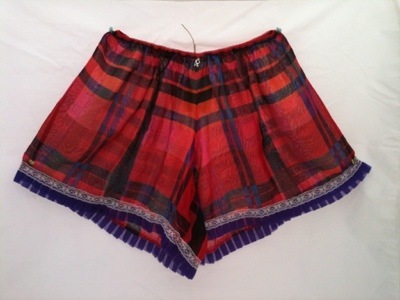 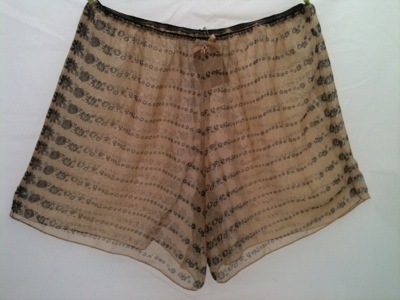 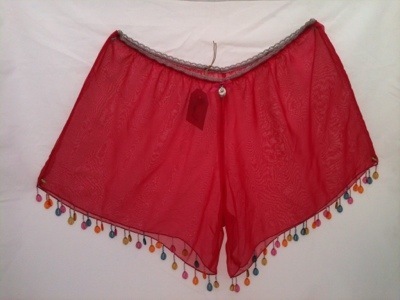 I have been making these French knickers to sell on my folksy website. 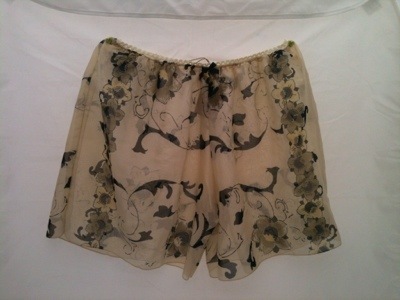 They are made from scarf’s that I bought from charity shops, some are vintage and one is real silk. 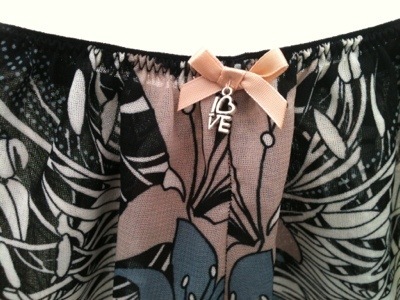 I have seen little charms on the front for extra specialness!